Penny Sansevieri runs her company, Author Marketing Experts, with her five employees. You’ll find her speaking at writer’s conferences around the country throughout the year because she’s an authority on author book marketing strategies and Amazon. She shares those strategies on her popular blog. BookWorks is an international organization developed to help self-publishing authors prepare for publication. It also has a blog, and its writers include Joel Friedlander, Penny Sansevieri, Carla King, and Dave Chesson. Subscribe to this blog to keep abreast of what’s new in publishing and author marketing. Dave Chesson is the face of the company of 16 who produces the blog, podcast, and the company’s signature tool, KDP Rocket, a software that helps authors validate book ideas. The blog posts are lengthy, providing in-depth coverage of the topics. Dave is also an author of military science fiction books. If writing advice if what you’d like, be sure to read Elizabeth’s blog. I especially love her “Twitterific” links that can include links to posts on writing, marketing, creativity, and inspiration. Writer’s Digest named her blog as one of the best 101 blogs for writers. She is a bestselling cozy mystery author. I became aware of Gill Andrews six months ago and have since subscribed to her blog. I’ve learned a lot from reading her posts. 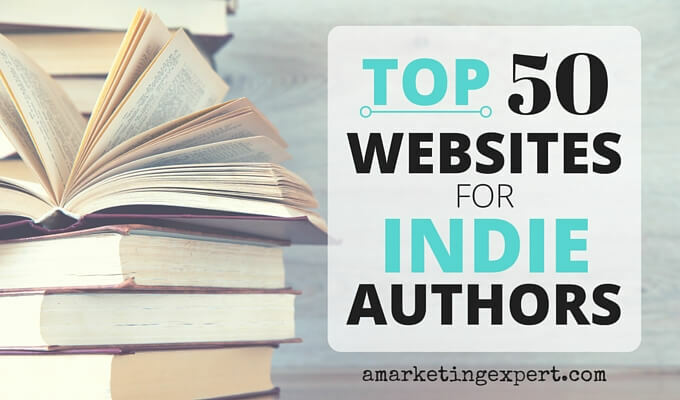 If you want people to notice you and your books, make sure you have the best website you can. Gill can help you achieve that. And if you don’t want to hire her, just read her blog posts. Whether you want to know how to improve your BookBub ad or find creative ways to launch your book, you’ll find answers on BookBub’s blog. I always look forward to the next installment and so will you. Were you surprised by anyone on the list? Did I not include someone you follow? Please let me know in the comments below. Brian, I’m aware of the blog. Thanks for mentioning it. Great list, Frances! They’re all excellent resources. May I share this on the marketing page of Writer Advice, http://www.writeradvice.com? Unless you say no, I’ll go ahead, and of course you will get credit as the author. Thanks! Yes, of course you can! Thanks.